I thought that with my limited time off work and school, I would try to create designs that reflected past baseball memories. I want to start with the infamous Steve Bartman incident that occurred October 14th, 2003 in Game 6 of the 2003 NLCS against the Florida Marlins at Wrigley Field. My older brother(a converted Cubs fan that can’t take the pain of following the Jays over the past 15 years) recently named his dog Wrigley after the field. A pretty good name for a dog; however, what the dog doesn’t know is the history of bad luck attached to his name. Poor dog. Here is my brief synopsis of the incident. Bartman interfered with Moises Alou, as he ranged to catch an easy flyball near the left field wall in foul territory. I was watching that game, and ‘boy oh boy’, did everything go wrong for the Cubs after that. The atmosphere of the whole stadium, and the feeling I got from watching it at home, was completely negative. You just knew the Cubs were going to blow it, and they did. They were 5 outs away from getting to the World Series. Up 3-2 in the series, and winning Game 6 3-0. Because of Bartman’s interferance, the Cubs let the Marlins have a 8 run rally in the 8th inning to win the game 8-3, and eventually the series. After that moment, Alou was noticably upset, the team was demoralized and Bartman was wondering how he was going to get home. Security and protection was offered to Bartman as he was escorted out the stadium, and soon after in the not-so-comfort of his own home. Jeb Bush, the Govenor of Florida, would later offer Bartman asylum in Florida. 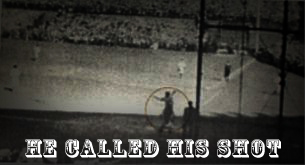 Although many of the players deny the significance of the Bartman incident, it is hard to believe them being a spectator of the game or watching on TV. The fans are the lifeblood on what home teams fuel on. Bartman, a huge so-called Cubs fan at the time, let them down in a way that was embarrassing and outright dispicable. They paid for it.